Science like it was 1600. Diet Coke is food and GMO are great science? No thanks Iâll stay organic. You keep drinking Roundup if you think organic is a fad. Great interviews with people I've never heard of. Several of these interviews led me to purchase the interviews book. Always interesting guests and topics. Always something interesting on tap. Still subscribing but weak as of late. Whether it's Josh or Lindsay, this is a consistently excellent podcast. This is an excellent podcast with interesting and varied subjects, good interviewing technique, and smart. You will be a better person for listening.BUT you can hear the interviewers (Josh Zepps and Lindsay Beyerstein alternatively) making noise during the time when the interviewee is speaking. I hear them doing things like â¦ opening a door, jotting notes on paper. There have been times when Iâve been so completely distracted wondering â¦ what is that sound? Are they solving a Rubikâs Cube? It is always quiet when the interviewer is speaking, but as soon as the interviewee begins to speak, the distracting noises commence! Crazy-making! Iâve enjoyed this podcast but often canât fit it on my little iPod because itâs encoded at an insanely large 320 bits making it up to five times larger then most other podcasts and it generally doesn't sound very good. But, they donât seem to care. So, Iâve stopped subscribing to this podcast, as It takes up too much space. Intriguing guests, interesting perspectives. I began listening to this podcast years ago, and it remains one of my favorites. At its best, Point of Inquiry offers solid discussion of important intellectual topics and, in relation to most podcasts, at a fairly high level of discourse. Some of the interviews have been particularly engaging, offering meaningful insight into topics.But not all interviews are equal.Perhaps one of the most frequent problems I have with the show is its ongoing ideological prejudice qua scientific progress. Though the podcasters may think of themselves as progressive and on the intellectual forefront, much of their paradigm is borrowed from 19th century attitudes towards religion. It's as if they read Max Weber and then stopped engaging in the continuing dialogue regarding religion in the public sphere.This is an important point to make, as political progressivism should not be seen as synonymous with their particular brand of the "science vs. religion" dichotomy. Indeed, as intellectuals such as Horkheimer and Adorno have shown, belief in scientific progress may instead be seen as the antithesis of political progress. In the most recent decade, intellectuals like Charles Taylor, Jurgen Habermas, and Robert Bellah have put forward incredible and articulate views regarding secularization, modernity, and religion in the public sphere. Compared to them, the Dawkins-variety engagement with these issues is sophmoric. Always a pleasure to listen to well reasoned discussion on life, philosophy, morals, and laws. A must listen. This podcast used to be among my favorites. My original review from 2011 was 5 out of 5! After several staff changes and a new partnership with the Huffington Post, the intellectual content dropped dramatically. I finally had to unsubscribe when discredited journalists like Johann Hari are now considered suitable guests. Point of Inquiry used to be one of my favorite podcasts three years ago. Sorry listening to it again in the last two months and I have been disappointed every time. I had to unsubscribe from the podcast after listening to the episode about elevator-gate where the host used words like 'vicious' and 'horrific' to describe whatever happened to Rebecca Watson in the elevator at a conference. I'm not exactly sure what happened but I'm confident that it wasn't horrific or vicious because those words have a connotation way more severe than whatever happened in that elevator. I come to a podcast about reason to escape from weasel words like that and people putting editorial spins on every single topic. I miss DJ and the era of reason. Discussed by adults. It's not as dry as NPR can be at times yet it's not loaded with annoying banter that you hear on other current event podcasts. This podcast is like Stuff that will blow your mind and Inquiring Minds not Cognitive dissonance or atheists on air (which are great but not safe around kids). Very informative and interesting podcast. The only thing that ever holds back an episode is a guest a bit on the boring side. But no one said every expert has to be interesting. And the few 4 star episodes are offset by the many 5 star podcasts. This podcast really suffers from poor audio, which by today's standards is unacceptable. It makes it unconfortable to hear. The topics are provocative and keep me invested. I will try it for a while longer just because of that, but if audio does not improve I will have to unsubscribe. I donât always agree with the perspective given, but always finish episodes with a greater understanding of the topic. This used to be one of my favorite podcast. Unfortunatly I have given up on it due to very poor audio, and the female host's voice. I find her accent extreamly annoying. Solid. Thanks for doing this show. POI has long been one of my favorite podcasts. When DJ Grothe left, they lost a good host and replaced him with multiple hosts that did a very good job themselves (eventually settling on just two), though one of the prior hosts is a much better writer and interviewee than interviewer. Recently, both hosts left the organization, and they were replaced with two new hosts, and the result has been profoundly disappointing. One of he hosts proudly identifies himself as being from HuffPost Live. HuffPost is one of the leading sources of pseudoscientific nonsense on the Internet, and a prominent skeptic organization has teamed up with them? WHY? The other new host seems nice, but she's a very poor interviewer, not only asking uninteresting questions (relying in the interviewee to carry the show entirely), but reading them in the stilted voice of an elementary school student reading a book report. The technical quality of the podcast has also taken a nosedive. Sometimes, the interviewer will be cloud and clear in both ears, whereas the interviewee will only be mapped to one speaker, and often at a totally different volume level. For an interview podcast which uses no stereo effects, it should probably be encoded in mono, thereby avoiding these amateurish mistakes. Interesting conversations, but the sound recording quality is so bad I just had to give up on it .. too much echo, background noise, lack of level control .. is everyone using a speakerphone or something?? frustrating ..
One of the few podcasts I listen to regularly without getting bored. I wish Indre Viskontas could host more of them, she does such a great job! I miss DJ Grothe. Ad hominem will get you nowhere. Perfect for the scientist and skeptic comm. I love this podcast. The majority of people interviewed are the people I want to hear from. This and Singularity 1on1 are the top two "smart" podcast. As for the dissenters and their comments saying it promotes the democrats....well if you stop to think, science reason and skepticism just aren't popular to conservatives. This podcast goes after the loony & pseudoscience on the left too. Lawrence Krauss, Neil deGrasse Tyson, Bill Nye? Yeah, I'm in. Thanks P.O.I. Negative and sometimes even hostile reviews here are natural and to be expected, as I'm sure the minds behind this always thought-provoking series came to accept long ago.Don't let the roar of the crowd dissuade you from experiencing some of the most fascinating discussions on the web. It is possible to be skeptical and curious without be arrogant and dismissive...but not here. So Point of Inquiry, Adam Carolla, and Radio Lab walk into a Bar........It's Great, Check it Out! Such a shame that this formerly (DJ Grothe days) podcast has been subverted. The Bob Price and Karen Stollznow interviews were great. But I'm getting sick of these skeptical podcasts that in principal have great potential but in execution embrace the almost random platform of the democrat party. The worst part is that they can't even see the bias and lack of substantiation of their views. Of course if they were blindly republican or even libertarian it would be just as bad. How about a government that has to prove the desireability and efficacy of its actions? THAT would be skeptical. good podcast. Keep up the good work. Dislike religion and want to feel smart about it? Once great...not so much these days. I used to love the diverse topics and hosts of this podcast...but for the last few months it's been nothing more than Chris Mooney's sounding board for his politics. Chris, we get it...move on. Very milky toast. It's ok to be intellectual, but that doesn't mean it has to be boring? Big words, little content. Say something! Professional and easy to understand. I've just discovered this podcast, I am delighted that I hundreds of episodes to catch up on. It is among the most professional skeptic/science-type podcast available, yet very easy to listen to. Thanks for making it! I love this podcast! This podcast has all the right elements - intelligent hosts, interesting and well informed guests, and awesome points of discussion on a variety of topics. If you are looking to stimulate your mind listen to this podcast. If you question life and everything in it listen to this podcast. If you are a skeptic, a scientist, or an astro-geo physicist, or even just a curious Average Jane (like me), you won't be disappointed. I enjoy the wide range of topics. Always thought provoking. As an immersed observer in religion Mr Johnson absorbed only what his preset values could let in. Might we be hearing his failed narrative projected onto religion. Life equals a formula is pretty lifeless. A little to liberal for me but not terrible. Robert Price takes what would be an interesting conversation and turns it into a "Who Can Be The Most Condescending Loser" contest. 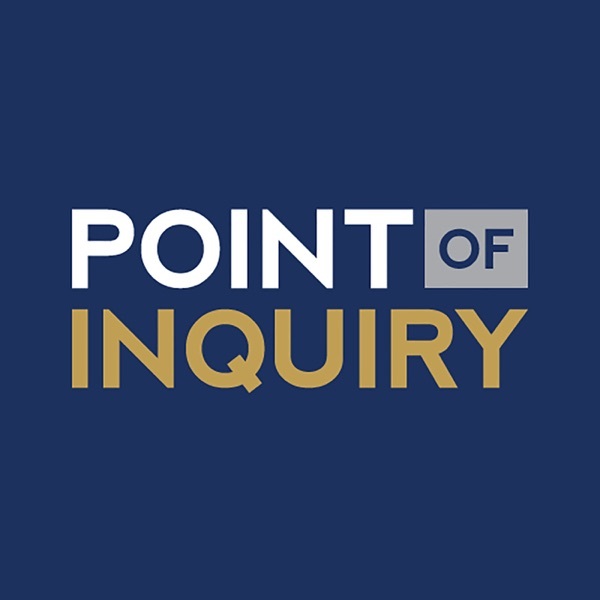 Originally recorded by DJ Grothe, Point of Inquiry made a name for itself as a hard-hitting journalistic podcast on skepticism. The three current hosts, Chris Mooney, Karen Stollznow, and Robert Price each have a different aspect of skepticism and atheism that appeals to them, which they cover. Robert Price covers mostly Christian and Christian-turned-atheist guests. I find Robert Price very difficult to listen to. His voice is not a radio voice for me. If he has a very interesting guest who does most of the speaking, I can listen to the entire episode. However, if the guest is not engaging or Price does most of the talking I cannot listen to the entire episode.Karen Stollznow does fewer episodes. She also is a part of the Monster Talk crew.Chris Mooney is an author of skeptical topics in his own right and tends to bring on other journalists and authors and celebs in the skeptical and atheist community. He often appears to have the most current topics. For instance, he brought on Rebecca Watson for a discussion of skepticism and feminism just after a large brouhaha occurred on the internet in that topic.Overall, this is still a serious journalistic podcast covering skeptical and atheist topics. Each host has a different contribution to the podcast and it is worth a listen to each one to find if you connect to a particular host and their topics. Simply one of the best science and social issues podcasts available. Download now. It become insufferable since Chris Mooney appeared.